Susanne Mueller is an Executive and Performance Coach, located in New York. Susanne is a keen runner and has run 15 New York marathons and competed in an ‘Iron Man’ event. 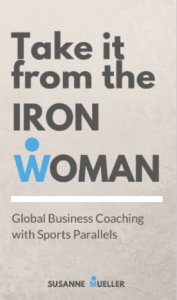 She has used her sporting achievements along with her coaching knowledge to write and published several books linking business and personal success with sports parallels.